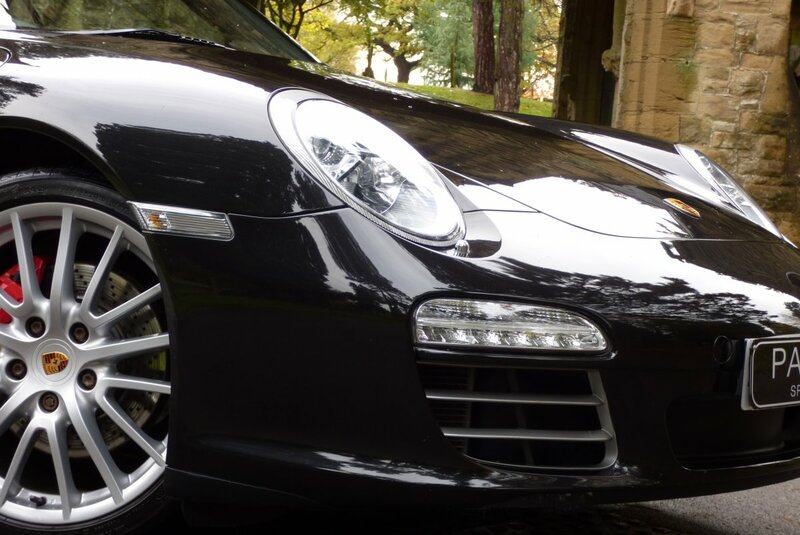 The 997 Was First Offered By Porsche In 2004 And Was To Be The Perfect Replacement For The Much Loved 996 Carrera Model, With Both Models Looking Rather Similar, However This New Introduction Was To Offer A Revised Body, A Healthy Increase Of BHP And Improved Porsche Technology. 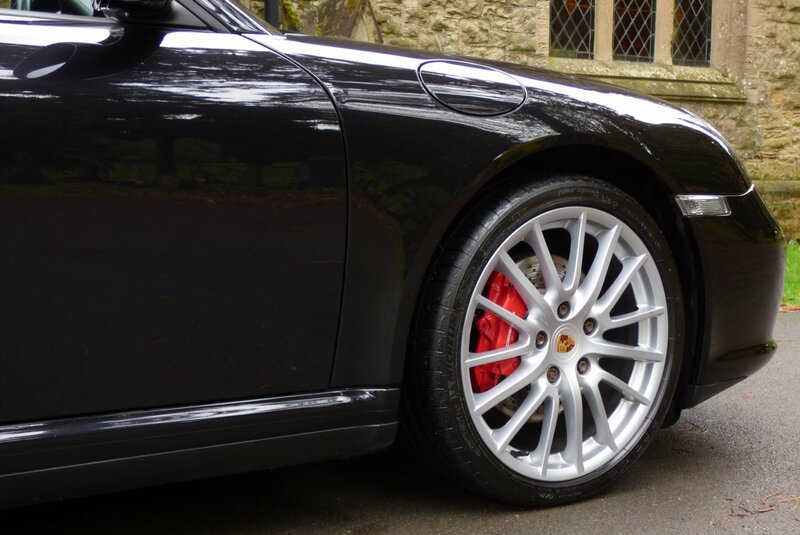 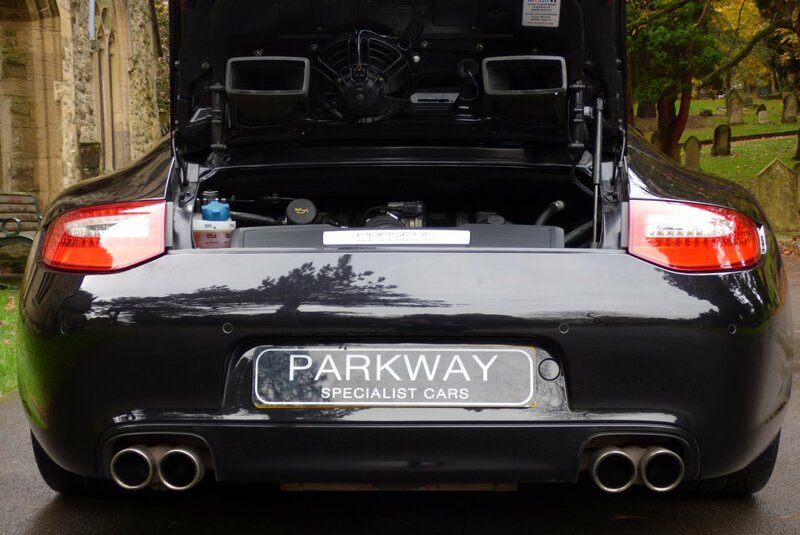 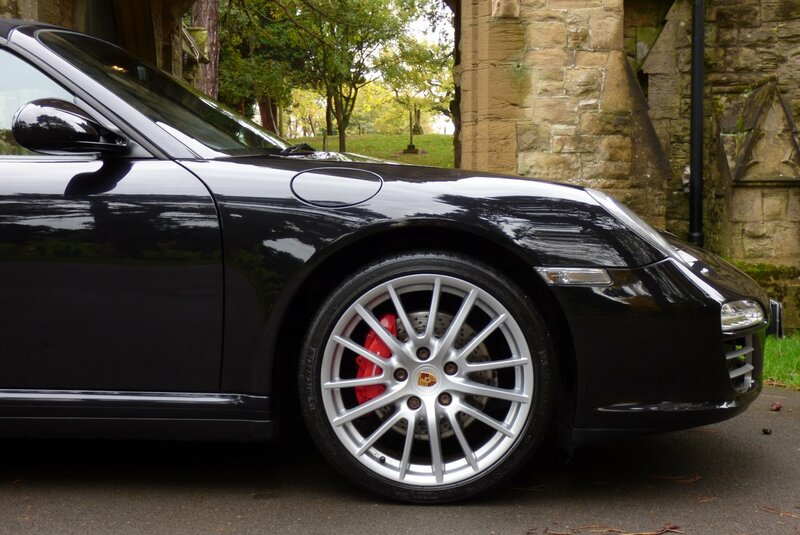 The First 997 Model Ran Until The Back End Of 2009, Until The Factory Introduced The Fabulous 997 Generation II Model, Which Included A Larger 3.8 Engine Rather Than The 3.6, That Offered Clients A Rather Healthy 385 Brake Horse Power Output, An All New Dual Clutch PDK Automatic Gear Box, Revised Front And Rear Headlight Clusters, Larger Air Intakes To The Front Bumper And New Factory Options List, That Would Offer New Buyers Leading World Class Technology. 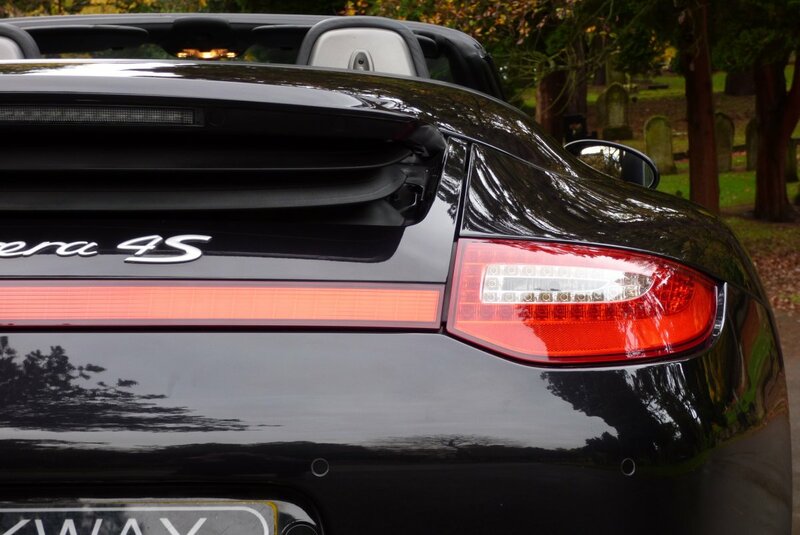 If We Now Fast Forward To 2017, The Generation II Model Is Viewed As Being An Important And Integral Past To The 911 History, With Many Collectors On A Global Scale Wanting To Acquire The Last Of The Very Best Examples Of The 997 Range, Before This Was Replaced By The 991 Version. 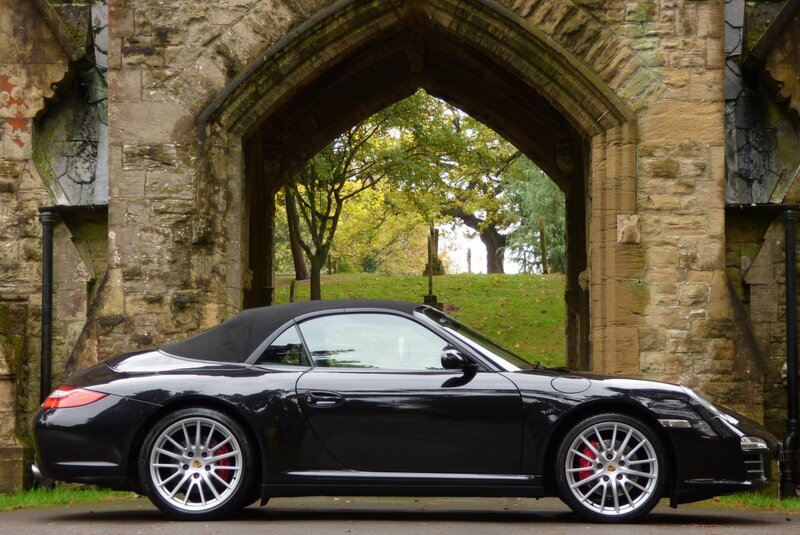 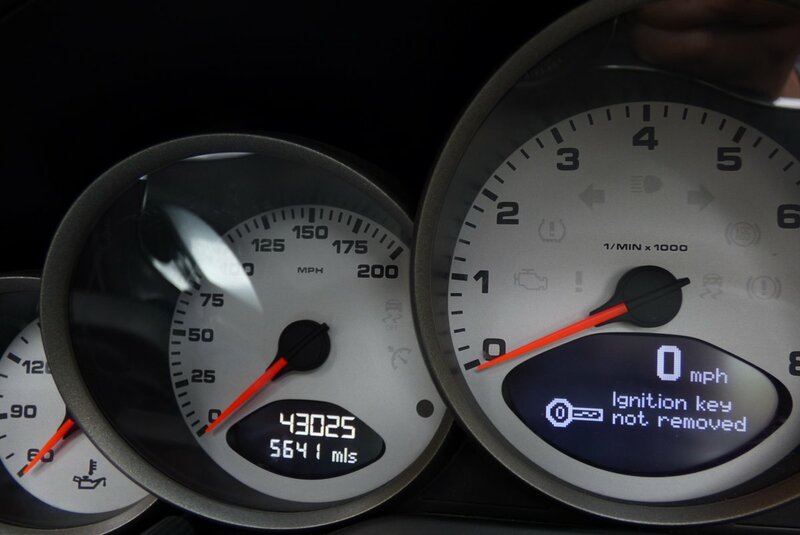 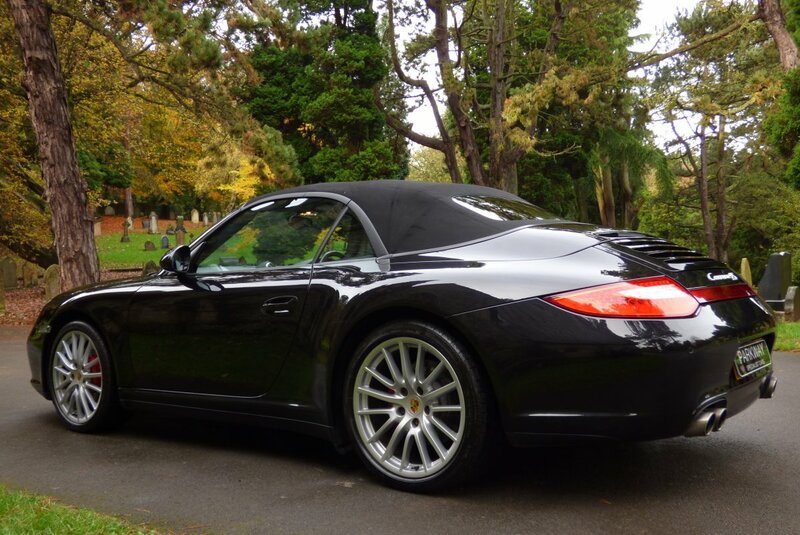 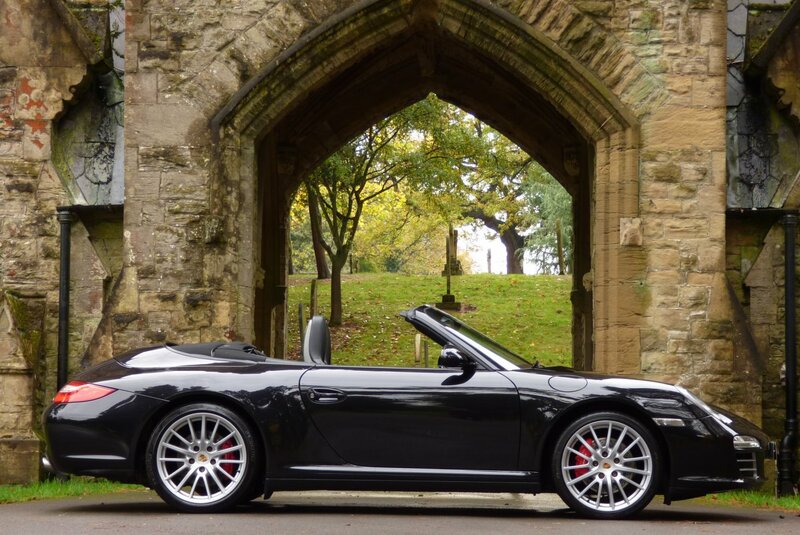 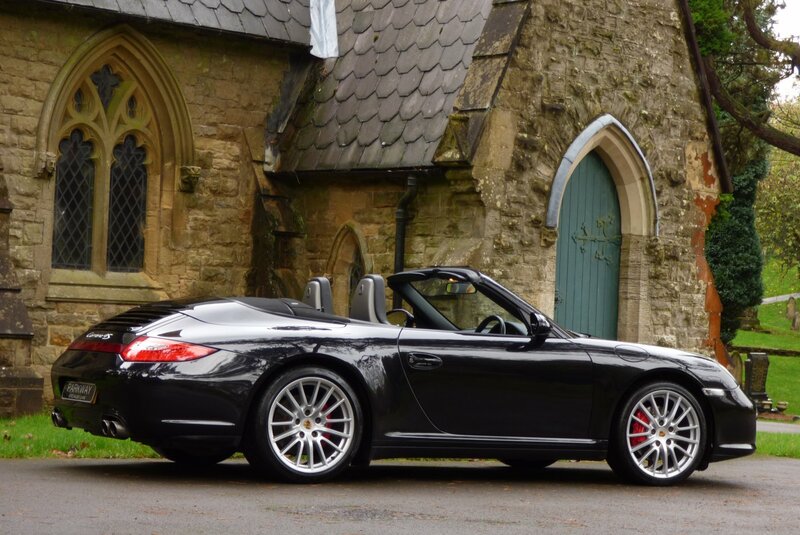 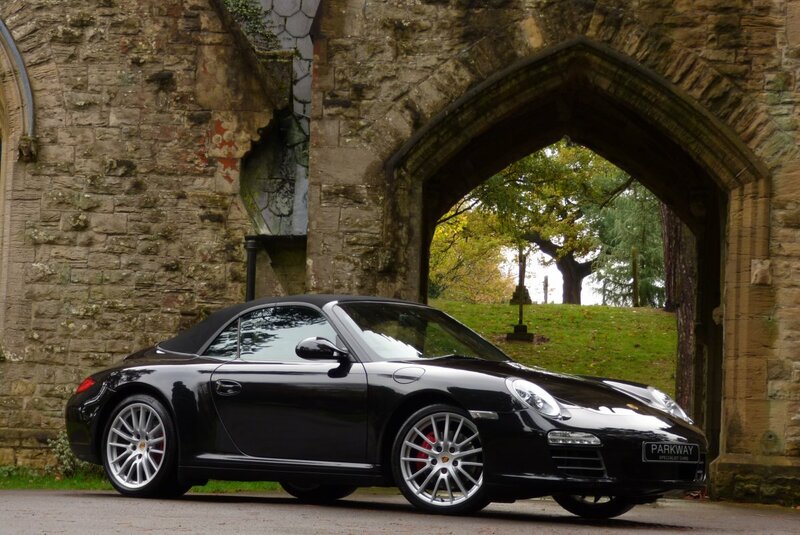 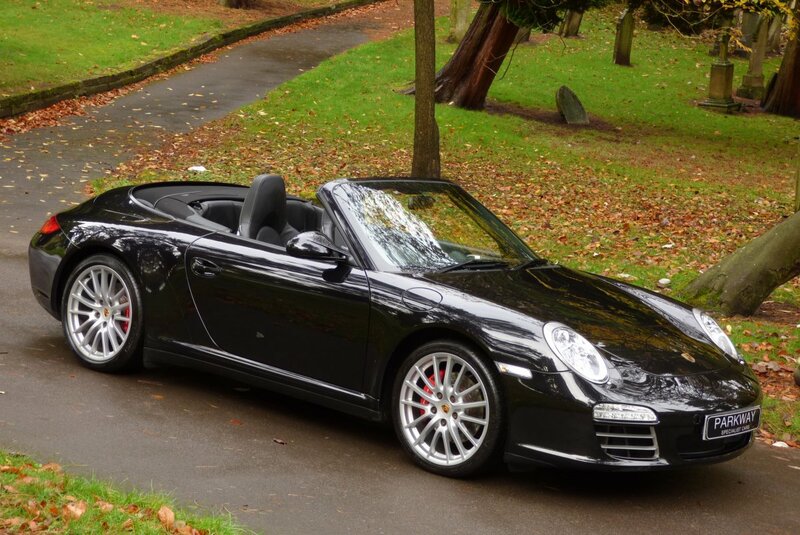 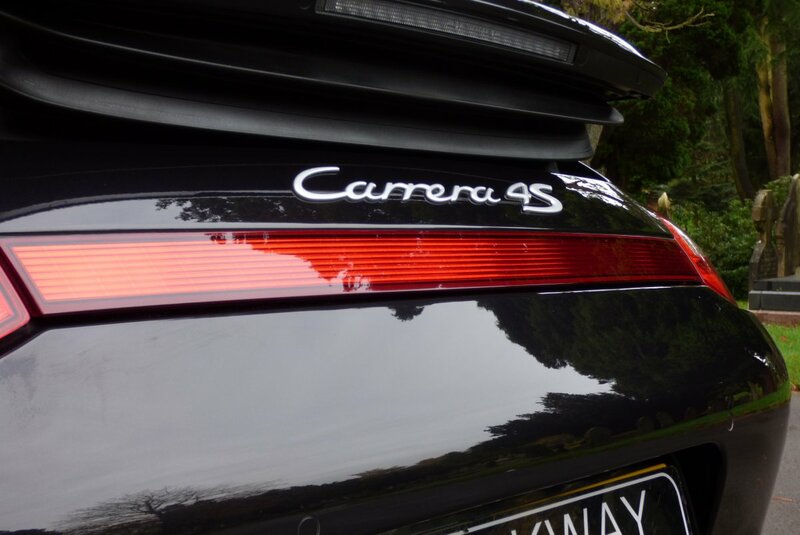 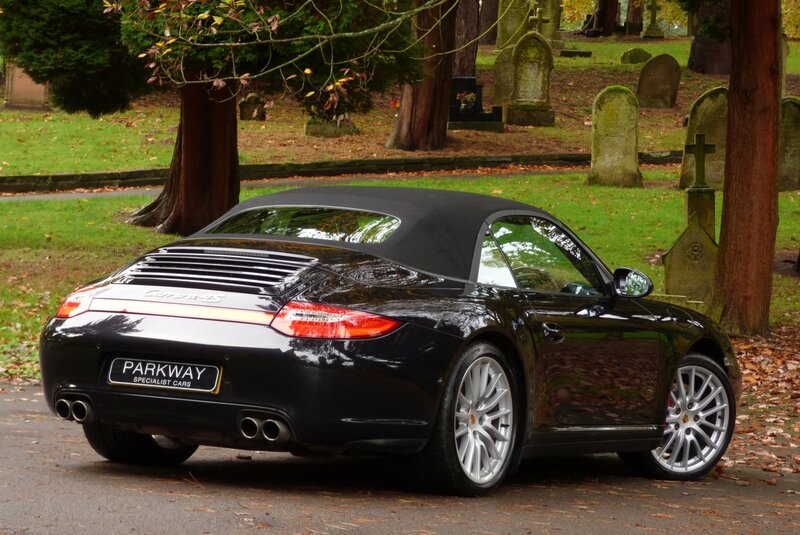 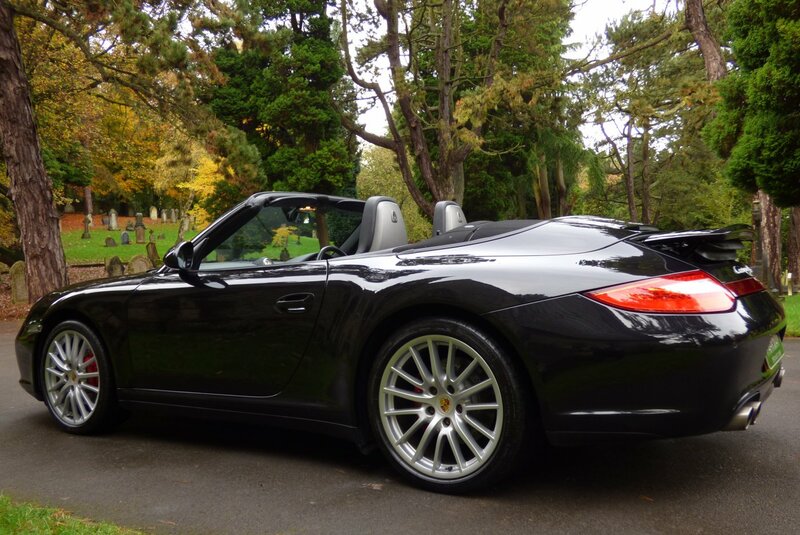 This Excellent Example With Very High Factory Options Was First Supplied By Porsche Centre Surrey In The May Of 2010 And Since This Date The Car Has Been Treated To An Extensive Past Porsche Main Dealer Service Inventory With Past Visits Logged At 16829, 32562 & 41572 Miles, With The Last Completed By Porsche Centre Glasgow In The March Of 2017, Which Also Included A Full Brake Fluid Change. 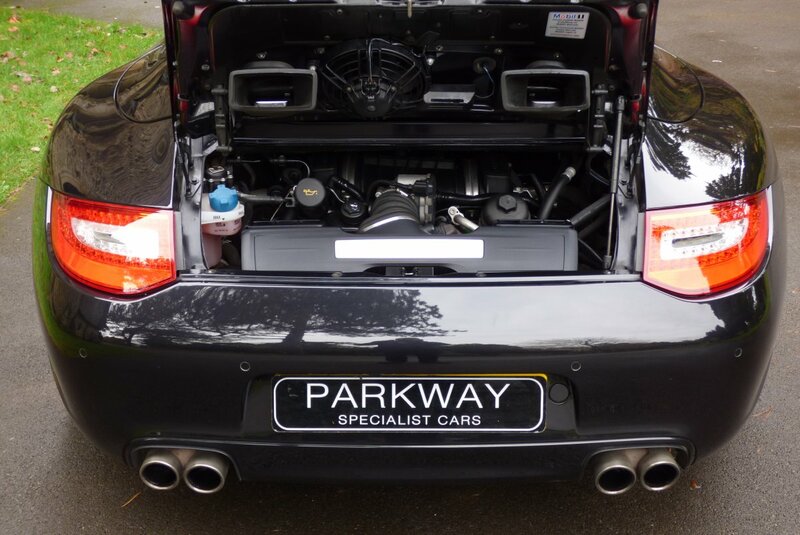 Once Sold The Car Will Be Presented To The Next Lucky Keeper With The Entire Booklet Pack Set, A Fully Functional Key Set, A Factory Build Card, A Fully Cleared Hpi Certificate And A Six Month Warranty With National Coverage, For The Next Custodian To Keep And Cherish.. 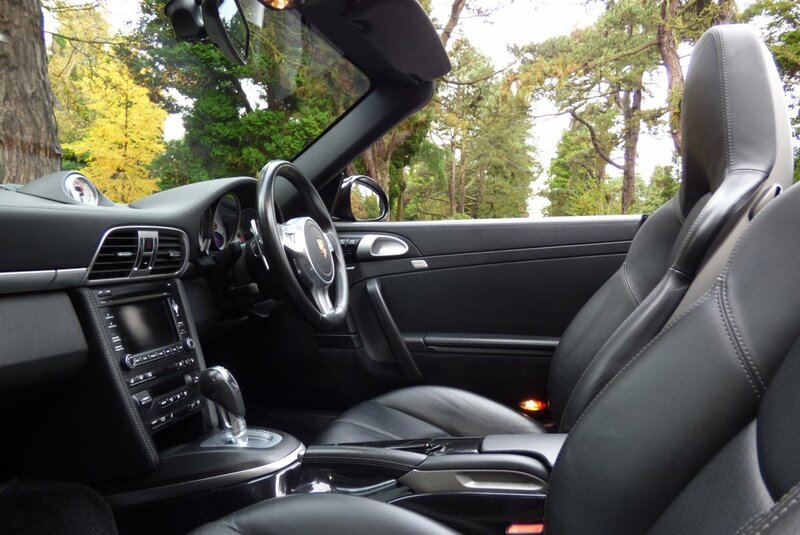 The Interior Is Stereotypically German On The Finish, With Only The Use Of Finest Leather Hides And Polished Metals, Thus Creating An Environment Mixed With Excitement And Comfort. 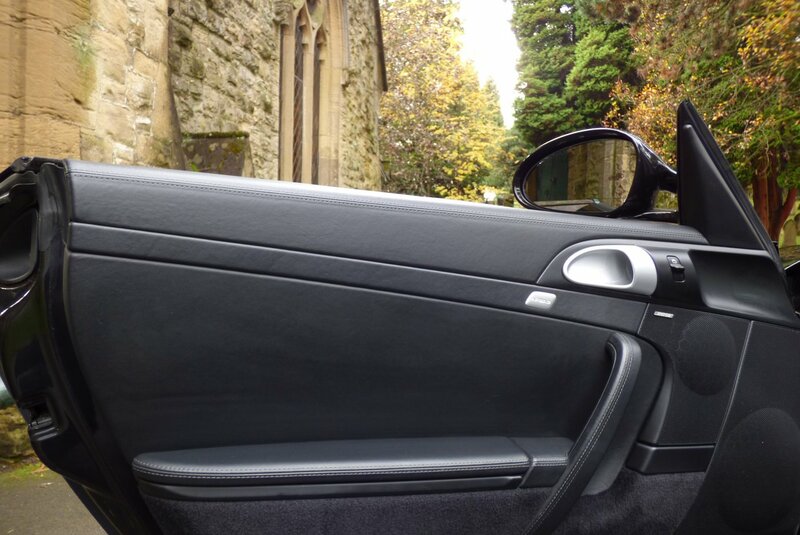 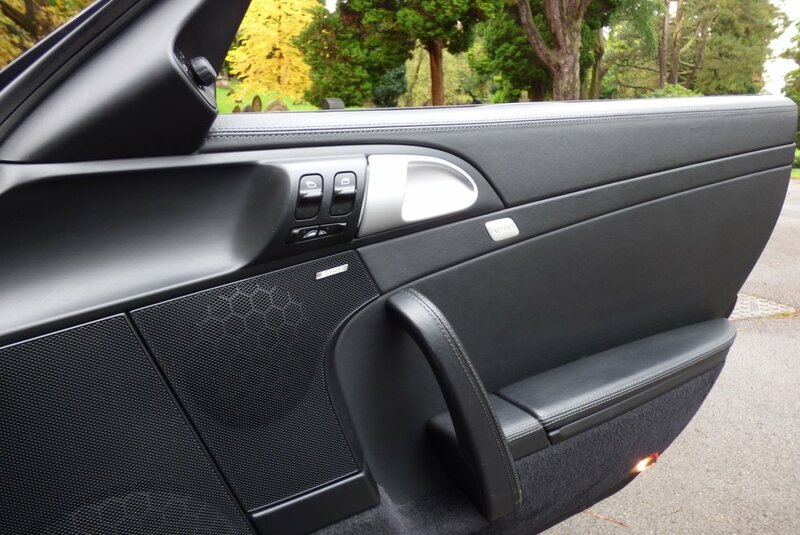 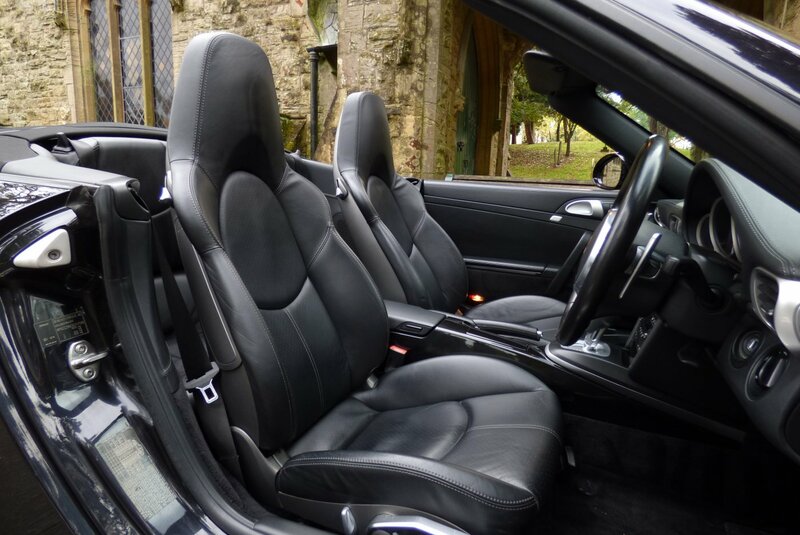 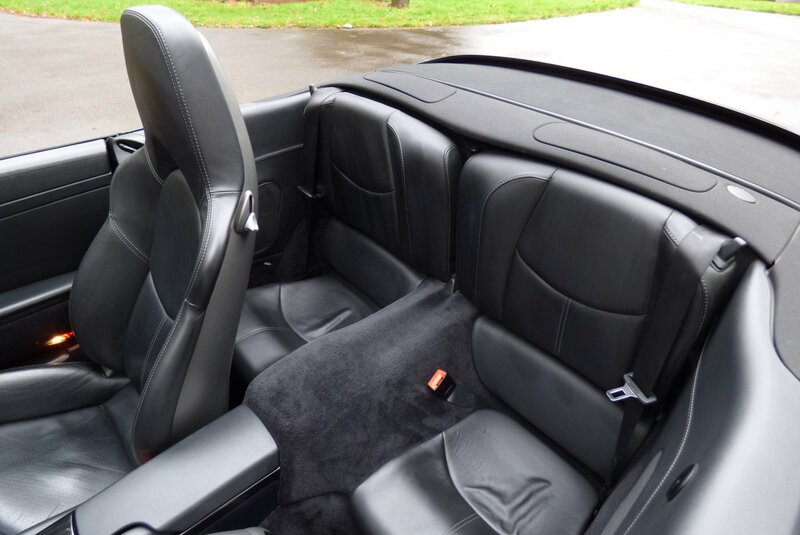 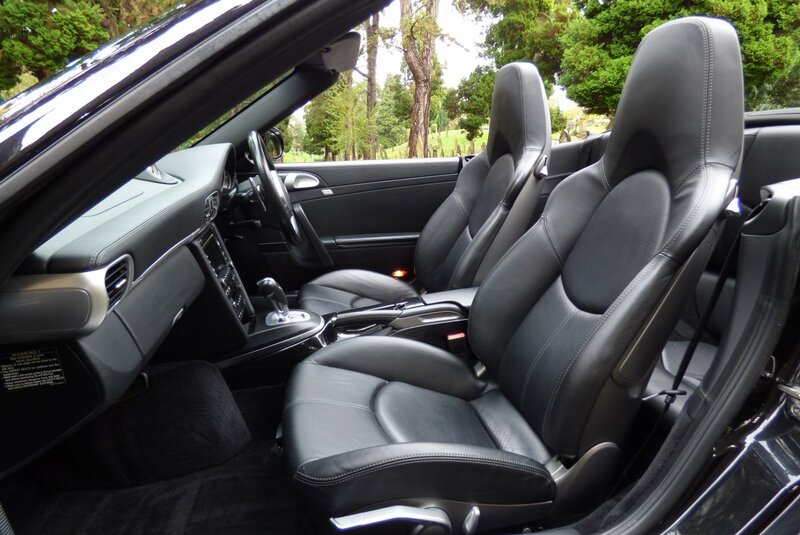 This Car Was Opted From Build With Black Leather Sport Seats With Hard Back Shells Beautifully Complemented With Dark Grey Twin Needle Stitch Detail, Black Carpets, Black Leather Trimmed Door Cards, Black Fabric Roof Lining, The Optional Black Leather Bound Three Spoke Steering Wheel With Paddle Shift And Decorated With A Mixture Of Piano Black With Aluminium Internal Veneers, That Finish This Exciting Cabin. 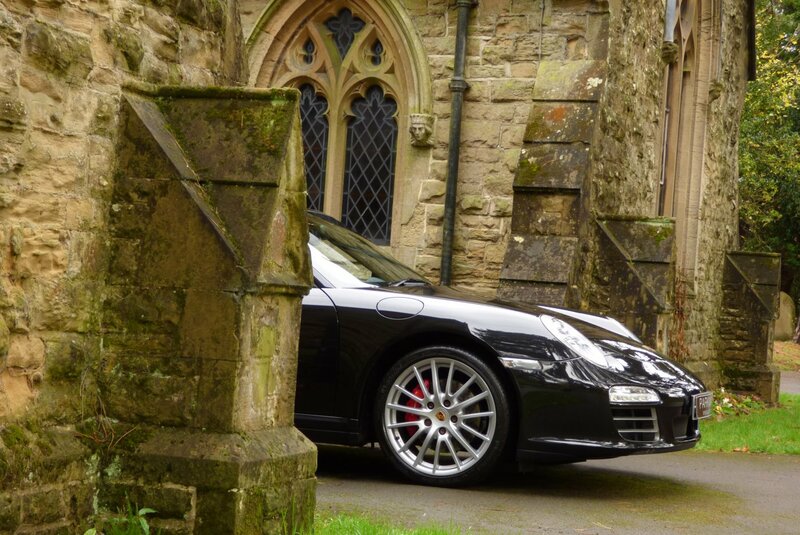 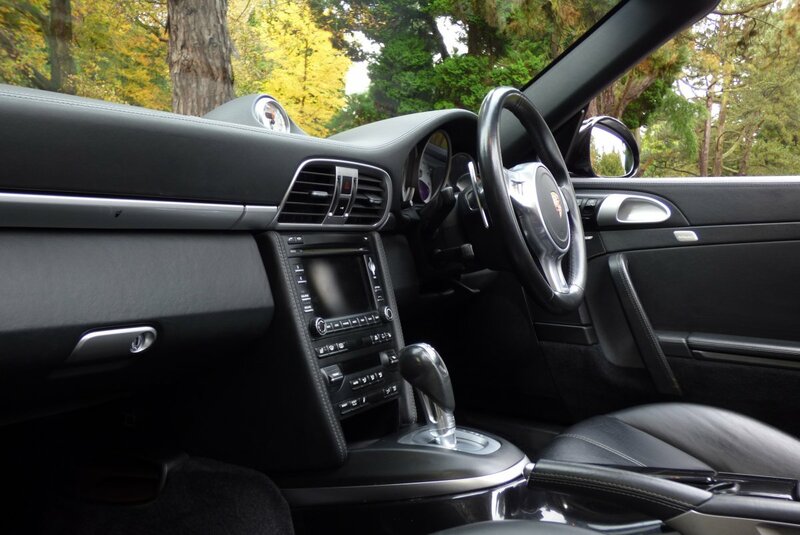 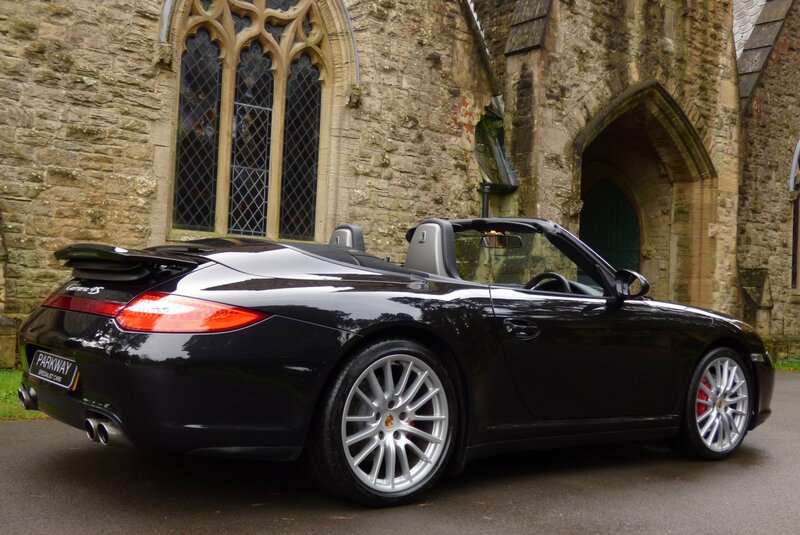 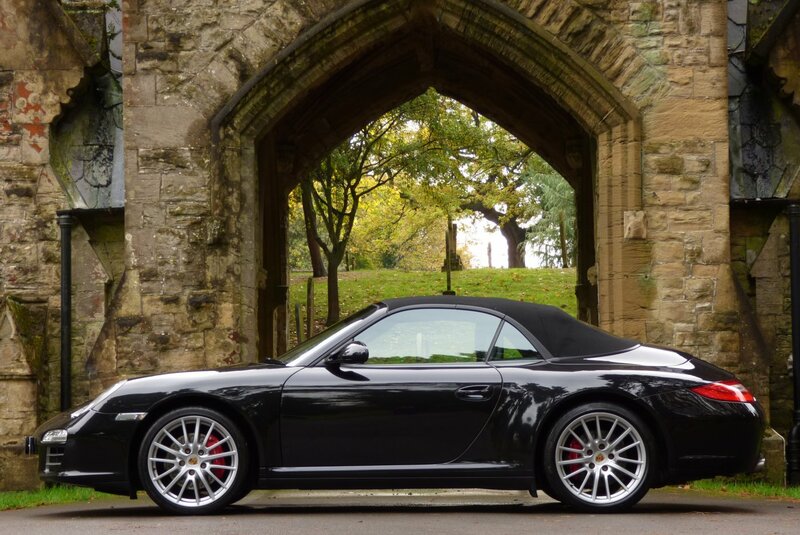 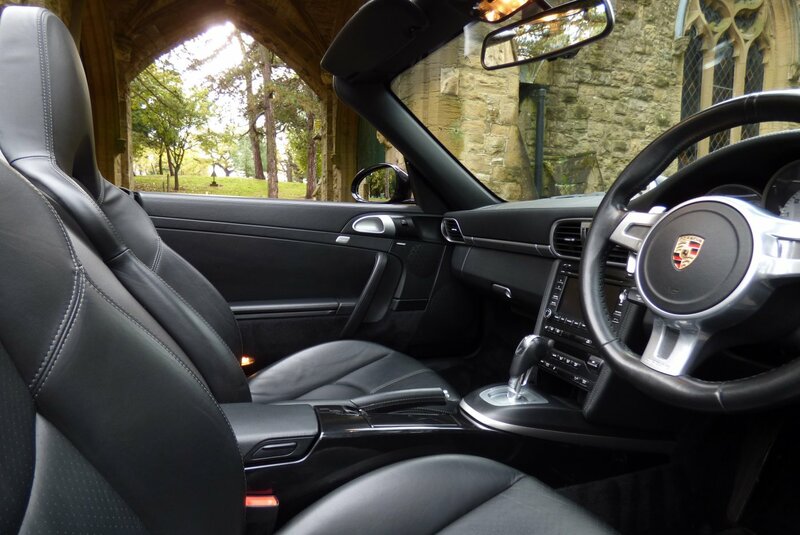 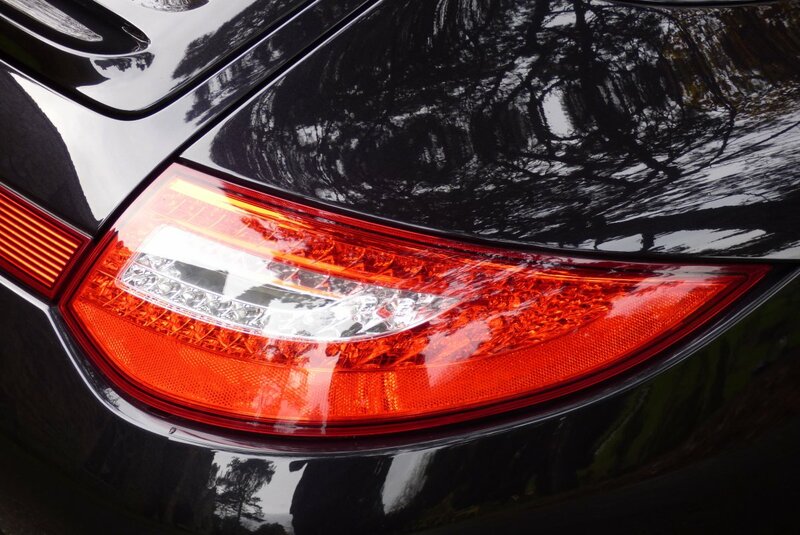 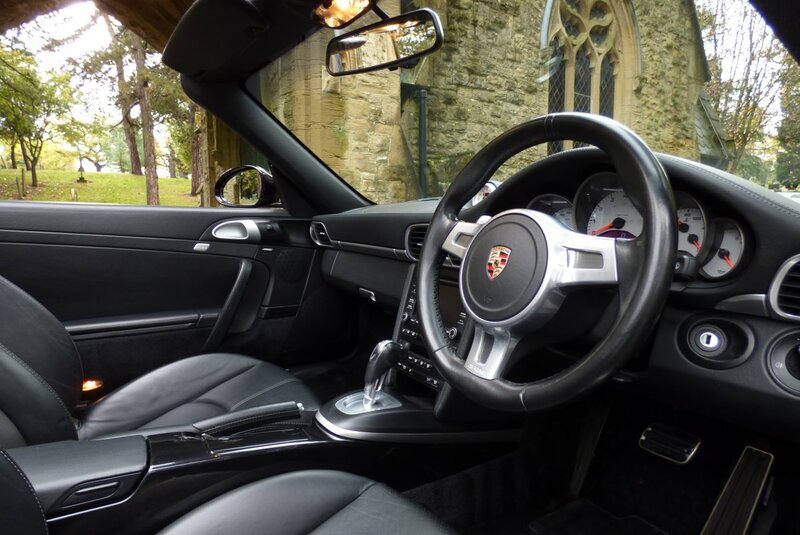 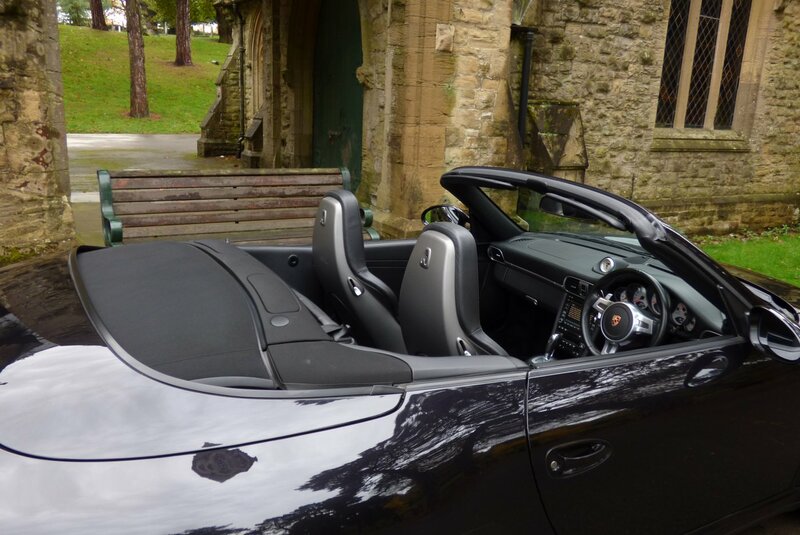 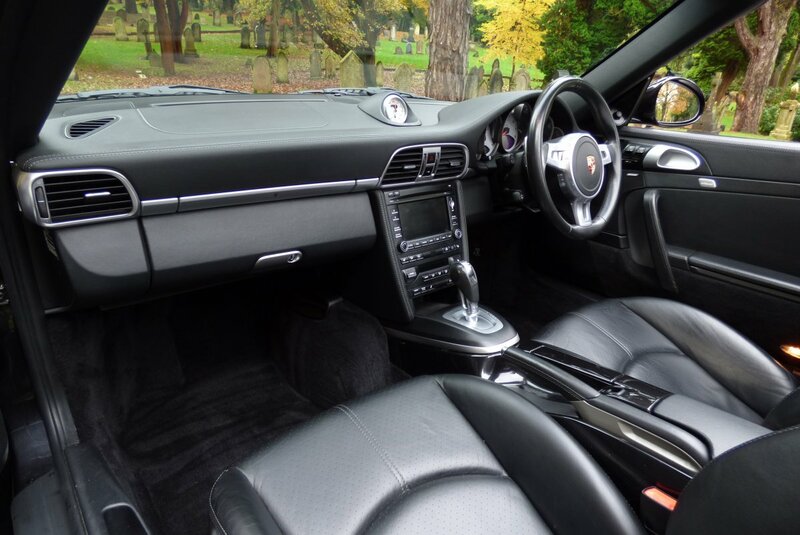 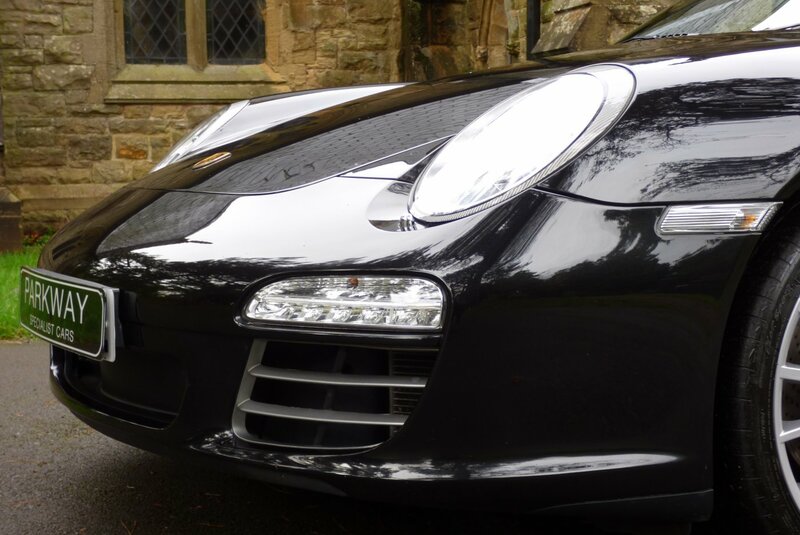 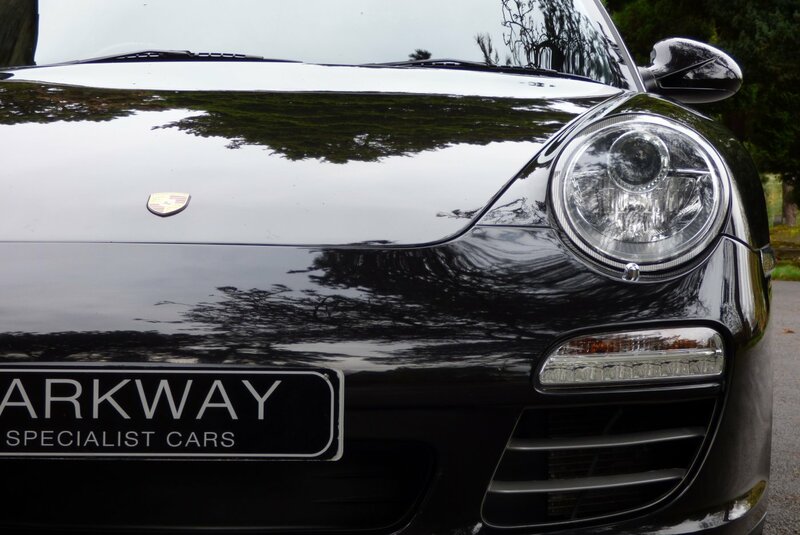 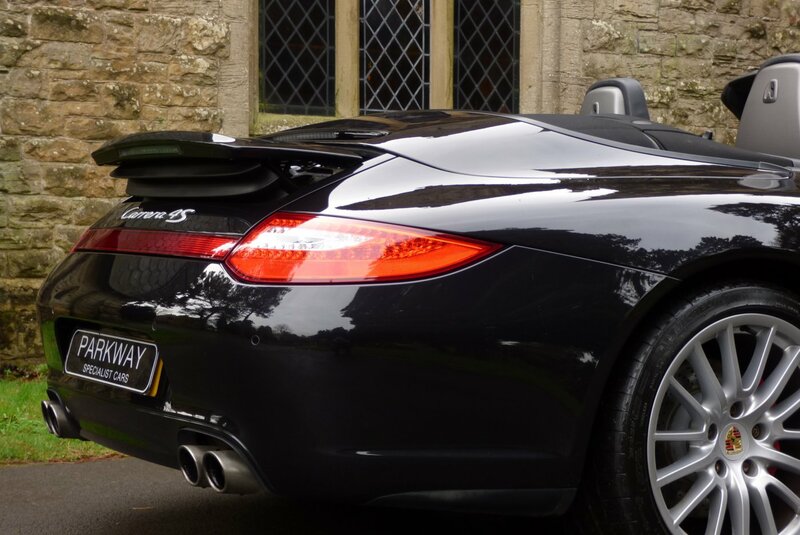 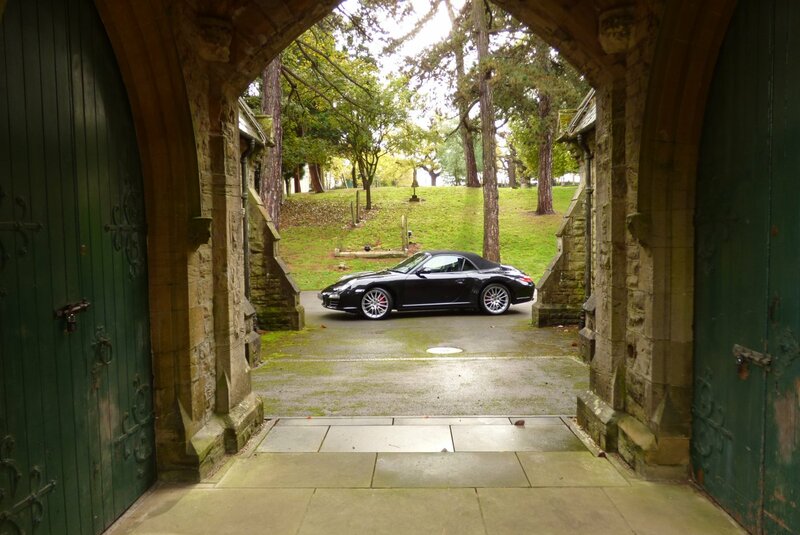 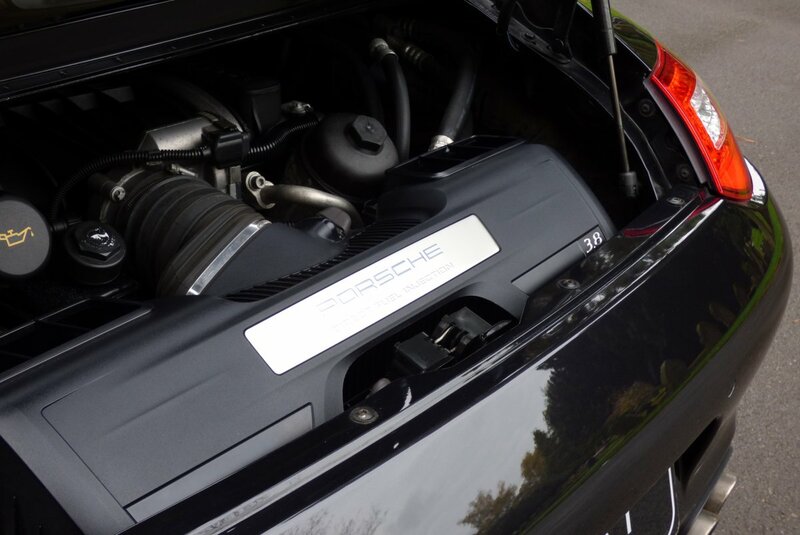 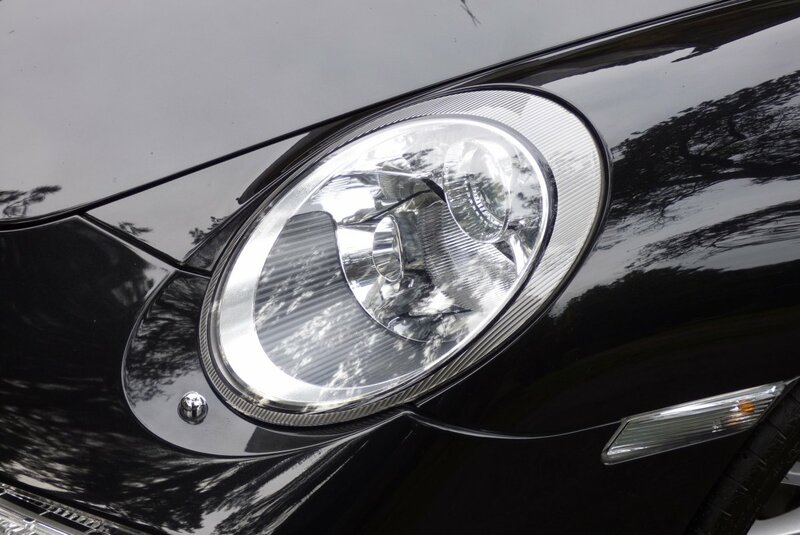 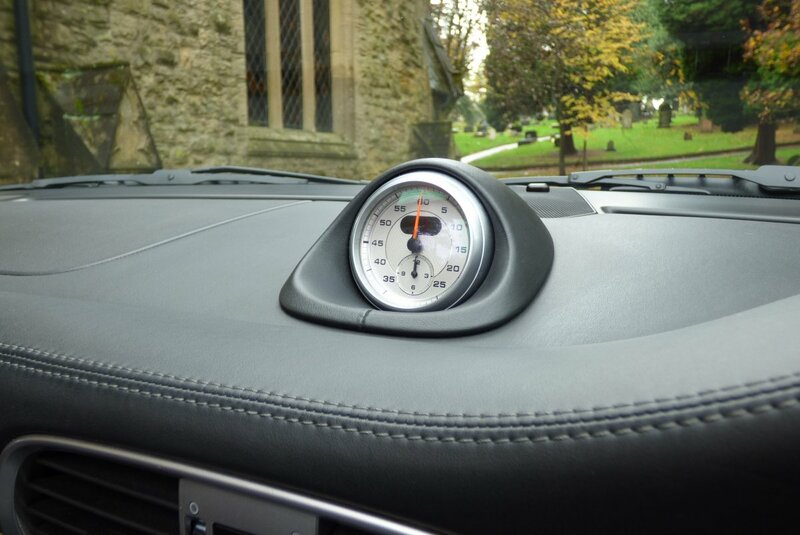 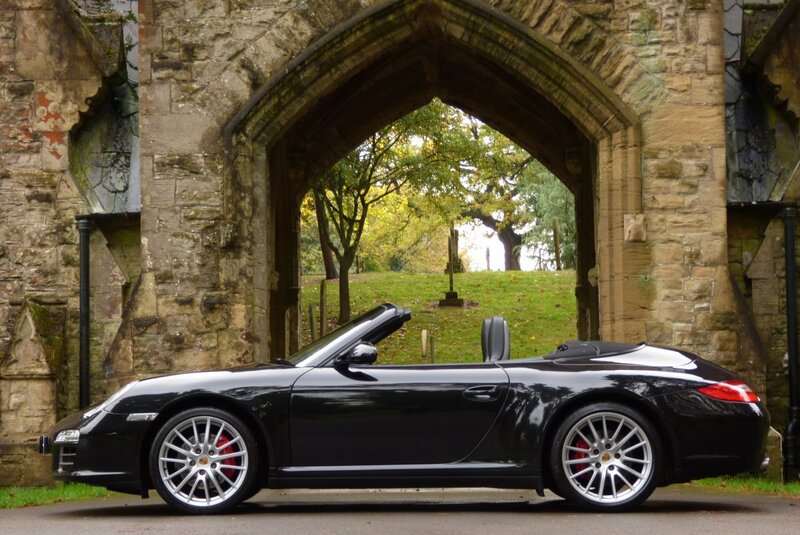 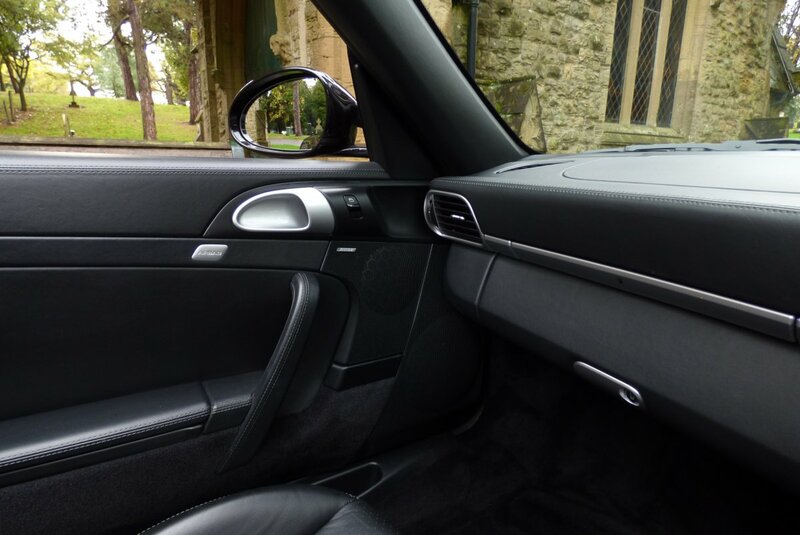 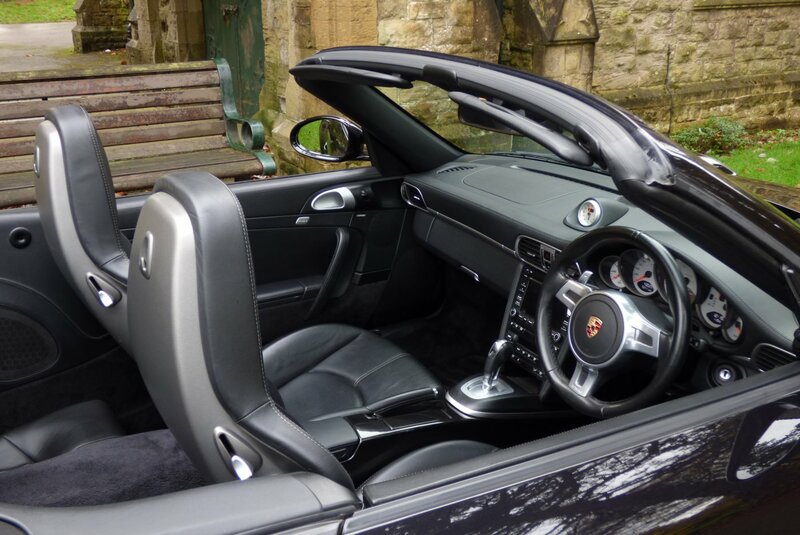 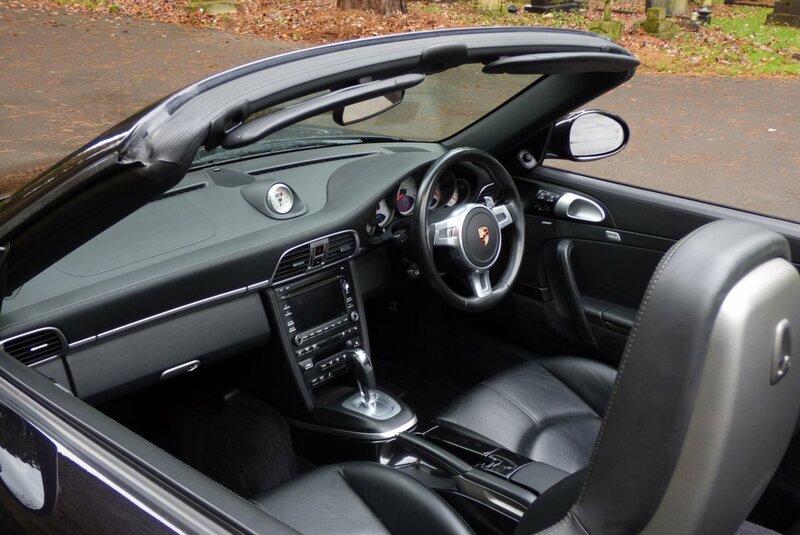 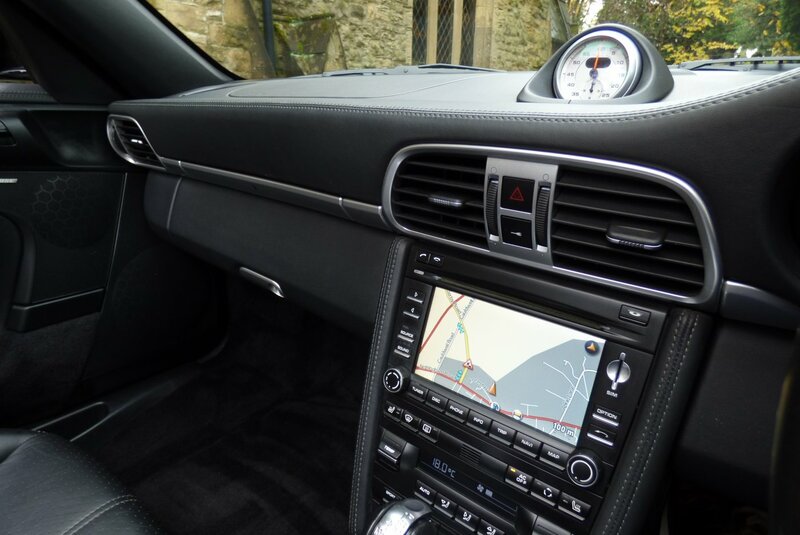 The Vehicle Also Boasts An Excellent Mixture Of Optional Porsche Technology, Meaning That Every Trip Is Perfectly Controlled And High Enjoyable, Time And Time Again. 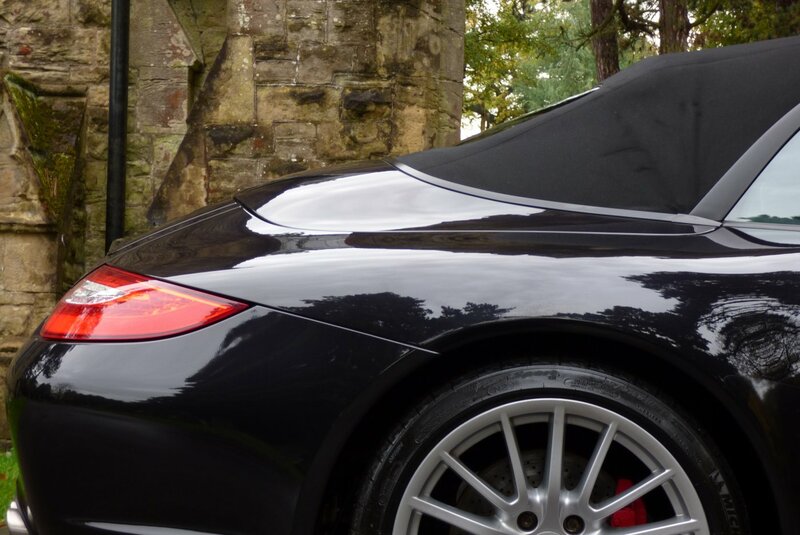 Looking At The Exterior You Can Fully Understand Why Since 1963 The 911 Has Done So Very Well For The Stuttgart Company And Is Probably One Of The Most Recognised Shapes Of All Time. 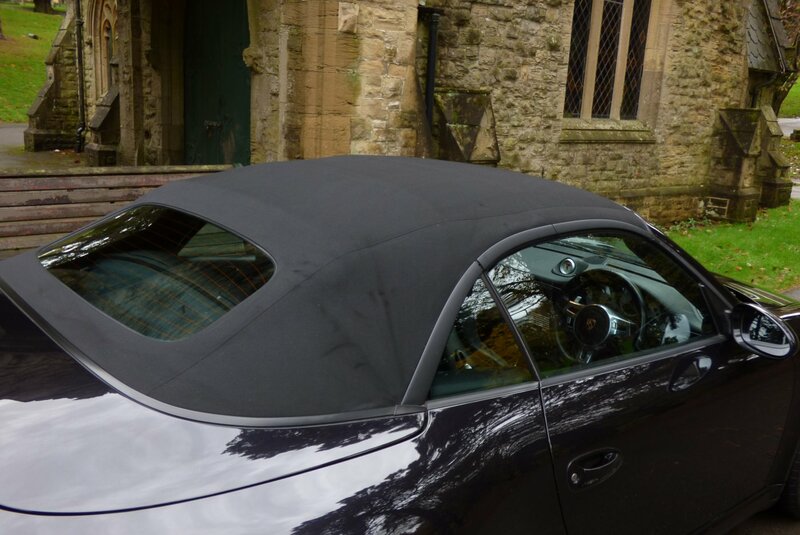 From Build This Example Was Opted In The Metallic Basalt Black, Which Is A Remarkable Colour Finish In Demonstrating The Aggressive Exterior Curves And Now World Famous Signature Lines, Which Also Looks Absolutely Stunning With Or Without The Black Fabric Roof In Place. 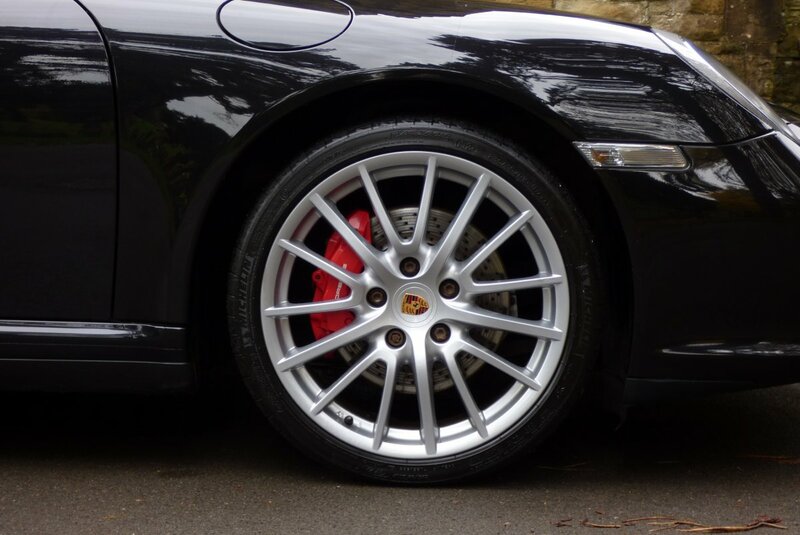 Further Factory Detailing Is Presented With The Unmarked Silver Finished 19" Sport Design Multi Spoke Alloy Wheels Which All Sit On Branded Tyres, The Porsche Embossed Red Brake Calipers, The Silver Detailing To The Lower Front Bumper, The Chromed Tipped Quad Exhaust Pipes, The Electrically Raising Rear Boot Lid Spoiler And Finished With The World Famous 4S Badges. 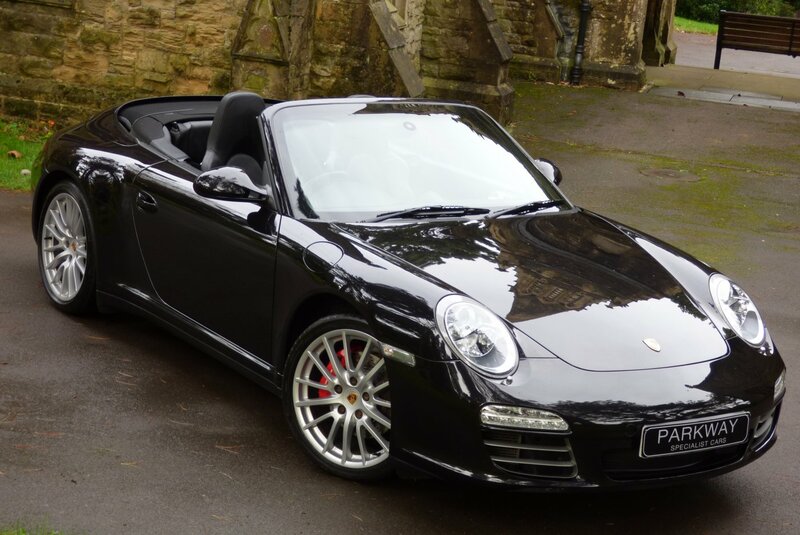 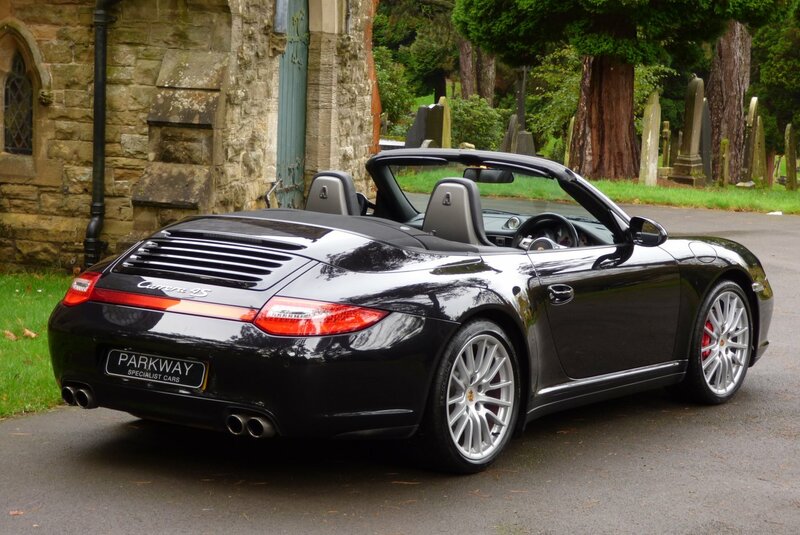 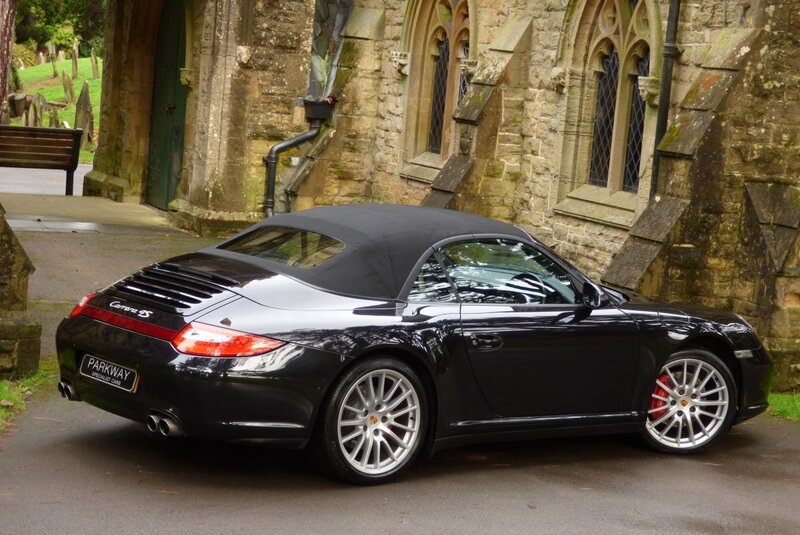 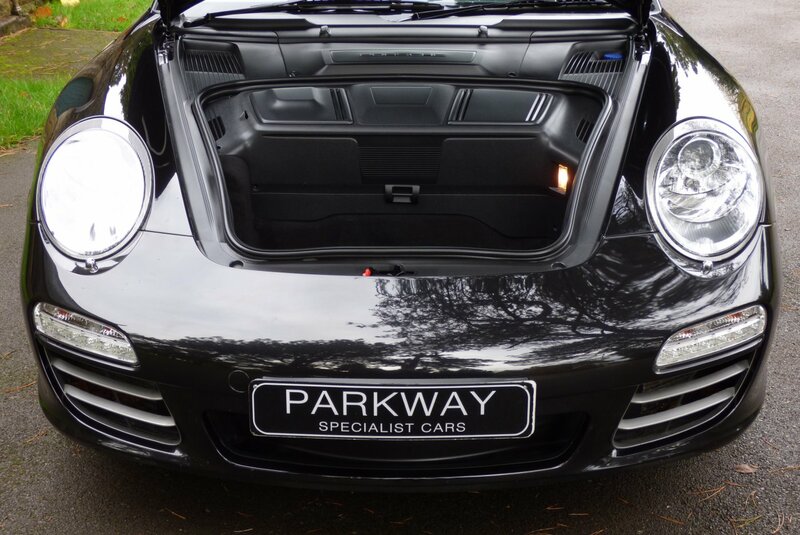 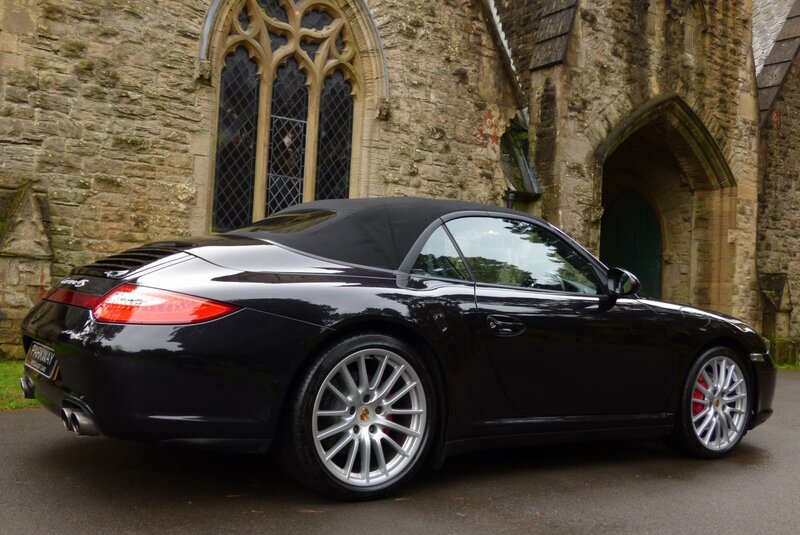 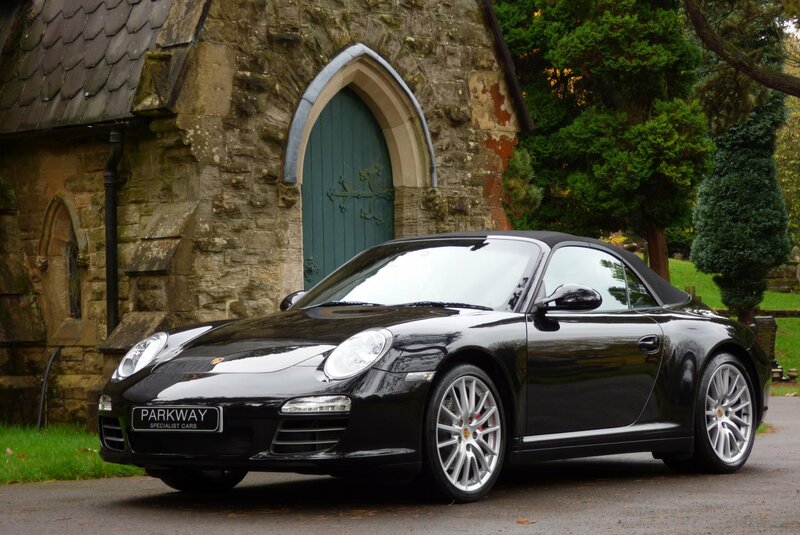 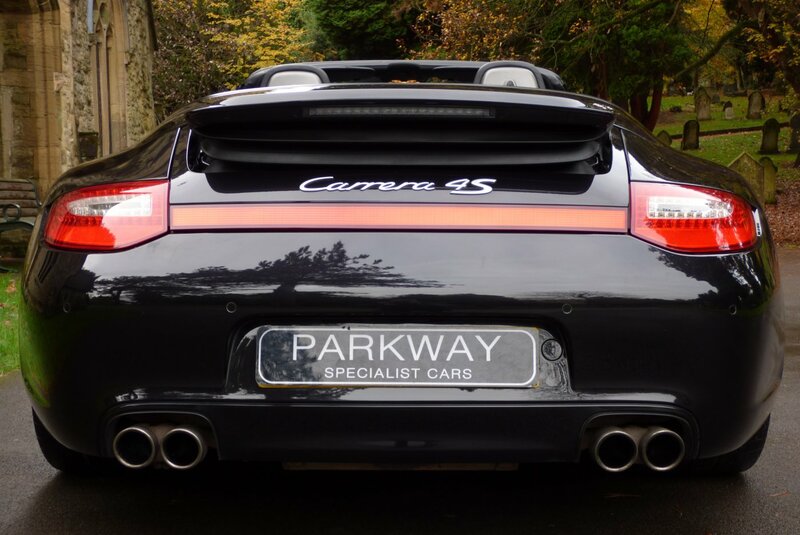 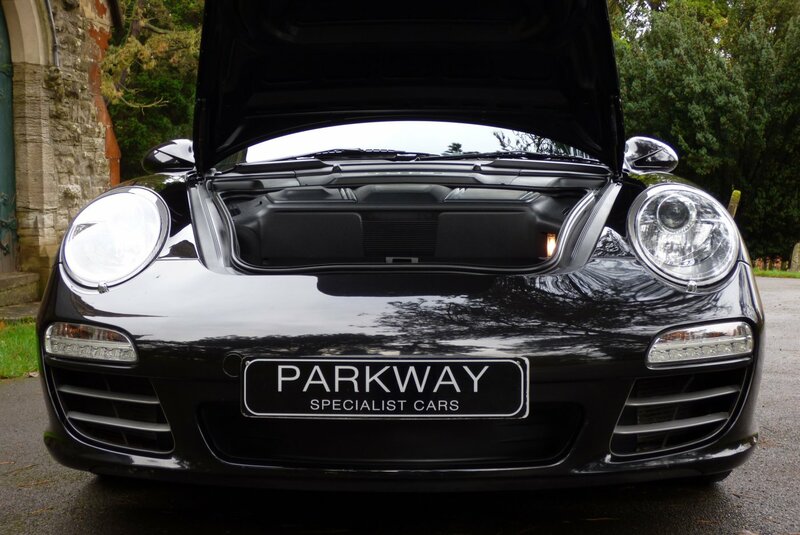 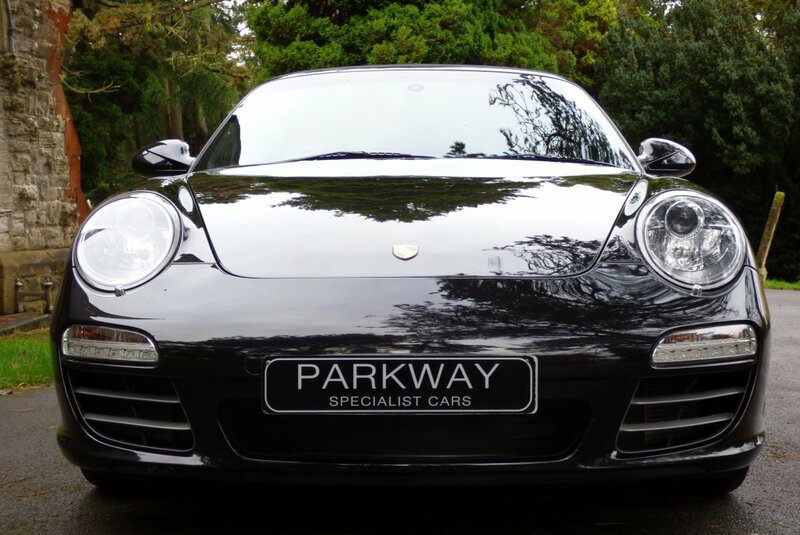 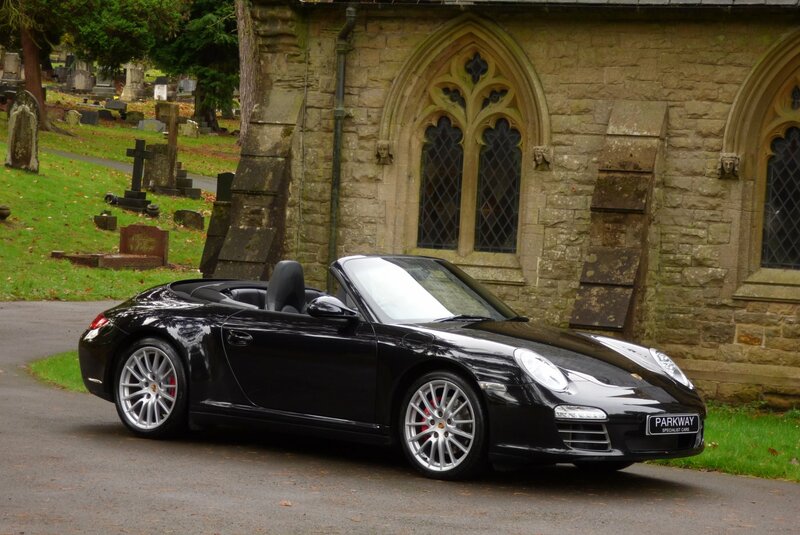 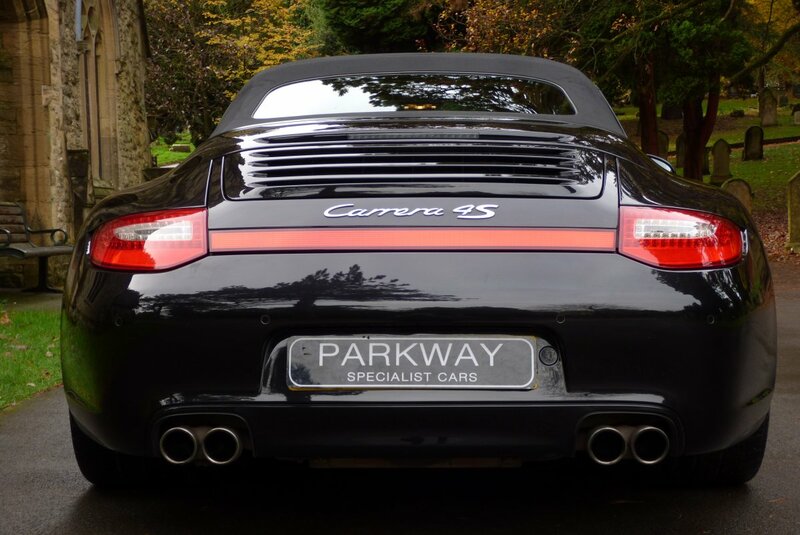 This Remarkable Example Offers Excellent Factory Options To Include The Full Colour Information Screen With Satellite Navigation System, Unmarked 19" Sport Design Multi Spoke Alloy Wheels, Porsche Embossed Red Brake Calipers, Rear Distance Park Control, Sports Chrono Package Plus, Variable Heated Front Seating, Windscreen With Top Tint, PCM 3 Telephone Preparation, Bose Speaker Sound Package, The Three Spoke Leather Trimmed Sports Steering Wheel With Paddle Shift, Universal Media Interface, Quad Exhaust System, Porsche Trip Computer, Xenon Headlights With Power Wash Function, USB & I Pod Connections, Daytime Running Lights, Porsche Embossed Sill Kick Plates, Porsche Steel Pedal Set, Sport & Sports Plus Functions, Adjustable Suspension, Remote Central Locking With Alarm And So Much More.  Offered With The Entire Booklet Pack Set, A Fully Cleared Hpi Report And A Full Key Set.